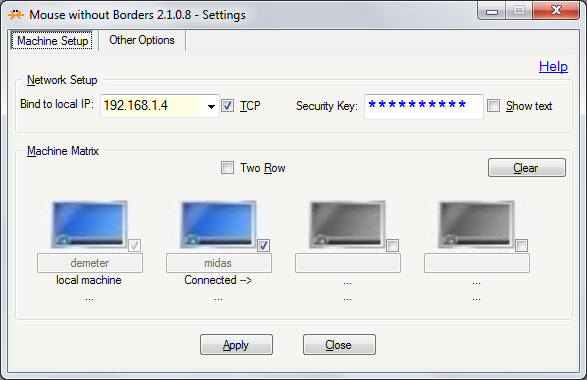 Mousewithoutborders, a free tool from Microsoft, allows you to control, from one keyboard and mouse two (or more) computers on the same network. These could be – as in my case – a laptop temporarily placed on the same desk as a desktop, or a desktop next to a server (if you do not run it headless anyway). 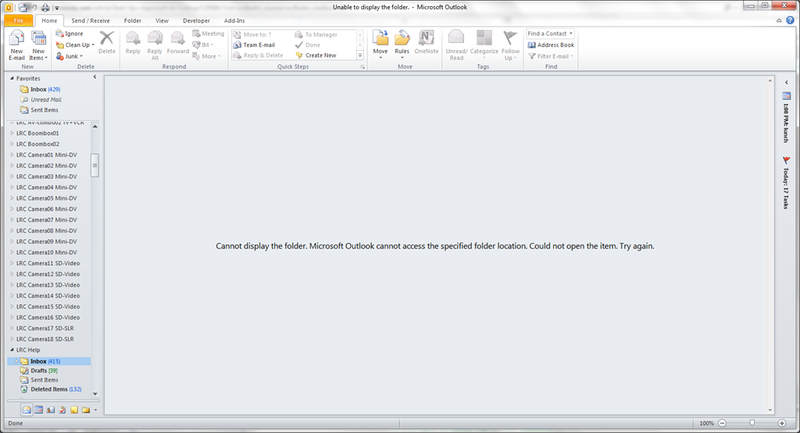 Mousewithoutborders needs to control the Windows Firewall which is at work, in a domain administrator controlled windows network, disabled – so no luck getting it to work at the office desk, where it would be even more useful. 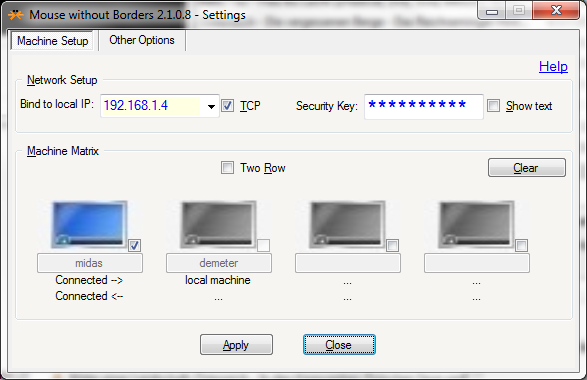 For my Mousewithoutborders setup, to not exhibit connection issues, it seems crucial that both local and remote machine a checked in the matrix, and you even may have to type the network name of the remote computer. From which follows: tightly manage your metadata…..
And in those last news: “The Chinese government demands reforms in the Euro-zone before providing financial help”. 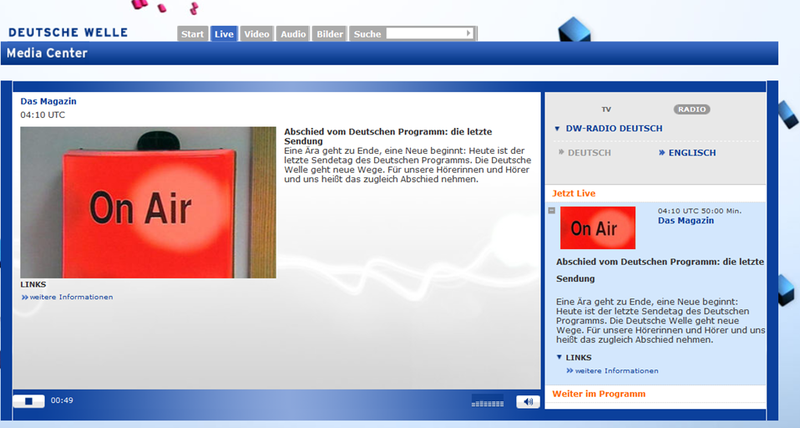 I remember a time when Deutsche Welle was available during family vacation only via short wave radio. Now, the on-demand offerings of the Deutsche Welle will be expanded. They are more useful for language learning than live streaming anyway. 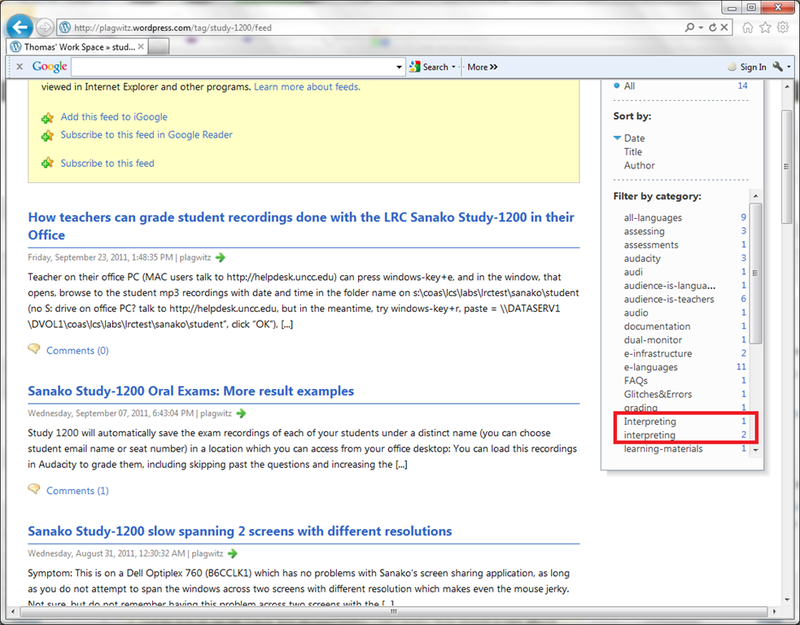 The Educause ECAR for 2011 Lists among its top actionable survey results: “Nail the basics. Help faculty and administrators support students’ use of core productivity software for academic work. and most of our students’ “academic work” lives online in Moodle. 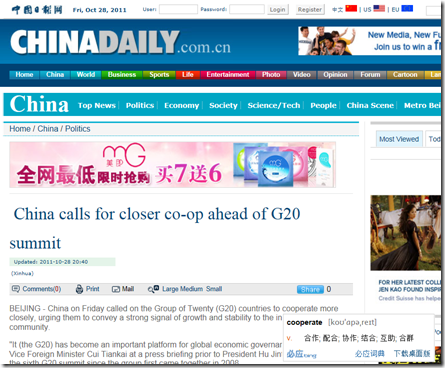 China Daily is the largest Chinese newspaper available in English. It has a variety of versions: here is the version for the US, for cross-cultural learning, while the English version for speakers of Chinese is valuable both for learners of Mandarin and English. The government-run newspaper People’s Daily has an English version, also with language learner glossing.